We start with an Ask Ken and Robin question from Ethan Cordray, who wants to know how a GM and player might collaborate in creating scenarios. Inspired by this Malcolm Gladwell piece, the Crime Blotter examines the changing relationship between organized crime and upward mobility. Fun with Science plays with your perceptions for a look at hallucinations and synaesthesia. Recommended reading: Oliver Sacks’ Hallucinations. Speaking of reading, we conclude with another paw through Ken’s Bookshelf, this one cataloguing the haul from his recent jaunt to San Francisco. 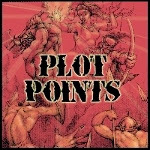 This episode is also brought to you by the Plot Points podcast. After you listen to us, listen to them analyze RPG adventures as literature. Modern Myths wants you to know about its booth, a veritable oasis of roleplaying both indie and trad, at PAX East, right across from Indie Games on Demand. Weighty personages surrounded by bullet-proof genre expectations surround us in the Gaming Hut as we examine script immunity in historical gaming. The Mythology Hut finds us riffing a kid-friendly adventure idea arising from the superstitious connection between faeries and uncrushed eggshells. Pol Jackson poses an Ask Ken and Robin poser about the difficulty of staging Tomb of Horrors style gotcha traps for today’s F20 players. Finally, as the Oscars approach, we grab some popcorn in the Cinema Hut as we reveal our top ten lists for 2014. 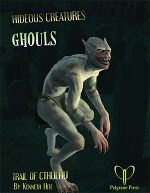 We begin with endings as the Gaming Hut enumerates ways to build your roleplaying series to the biggest of finishes. Among My Many Hats has Ken telling us about Vendetta Run, the latest installment of Ken Writes About Stuff, in which a spectral Wyatt Earp decides you’re in need of some rough supernatural justice. How to Write Good looks at common pitfalls in mystery plotting. That telltale salty crunch tells you that Ken’s Time Machine has been tasked by questioner Donald Dennis to inquire into the legend behind the invention of the potato chip. A pithy remark from LEGO Batman inspires our latest excursion into the Gaming Hut, as we ponder the question of narratively acceptable character demises. In the Tradecraft Hut we look at bone music, 50s era contraband pop music recordings etched against the will of Soviet authorities onto old medical X-rays. The Recommendation Engine spits out manly suggestions from Ken and unthemed suggestions from Robin. Finally, in response to a Nick Eden request, the Consulting Occultist introduces us to that seeming contradiction in terms, the Soviet Occult.